Looking for deals in Kuala Lumpur? Centrally located in Kuala Lumpur commercial district, The Bed KLCC offers minimalist accommodations with free WiFi access throughout the property. Loved absolutely everything about this property. Located within the hustle and bustle of the city center, Hotel Stripes Kuala Lumpur, Autograph Collection offers accommodations in Kuala Lumpur. The whole place is nice. It’s very secure and I appreciate the attention from staff. I’m a solo traveler so having people look out for me is nice! Featuring the largest standard guest rooms in KL, The St. Regis Kuala Lumpur features luxurious accommodations in the convenient location of KL Sentral in Kuala Lumpur. everything was great from staff till amenities, great hotel to feel like a VIP. The RuMa Hotel and Residences offers accommodations strategically located in the Kuala Lumpur City-Center district. The staff are very nice. The hotel is beautifully designed and very clean. Very good location. Opened in November 2016, Oakwood Hotel & Residence Kuala Lumpur offers a modest variety of accommodations choices to meet the needs of any traveler in the heart of Kuala Lumpur. Clean, quiet, great facilities, great pool. Friendly staff. Massive rooms. Supermarket opposite. Featuring an outdoor swimming pool, a fitness center as well as a terrace, Mercure Kuala Lumpur Shaw Parade is located in Kuala Lumpur, an 11-minute walk from Berjaya Times Square. clean hotel.. Near to time square few minutes by walking.. Nice roof pool.. Clean.. Smiling staff.. Located in a vibrant district, Alila Bangsar Kuala Lumpur offers 5-star accommodations above the hustle and bustle of the city. Everything is excellent in this hotel, nice interior, great breakfast with a decent room rates. 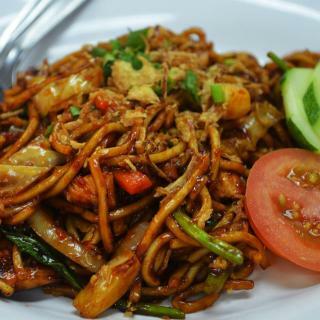 Featuring a terrace and a shared lounge, Space Hotel @ Chinatown Kuala Lumpur is located in Kuala Lumpur, a 20-minute walk from Islamic Arts Museum Malaysia and 1.3 miles from Bank Negara Malaysia... This Place is like no other, its super cool! 1.3 miles from Berjaya Times Square, Tian Jing Hotel is located in Kuala Lumpur and has free WiFi and concierge services. Very comfortable hotel with exceptional staff. Highly recommend. Located conveniently next to Masjid Jamek LRT Station, BIG M Hotel offers accommodations in Kuala Lumpur. Everything :))) the staff is very friendly and helpful. Housed in the bustling city of Kuala Lumpur, Cosmo Hotel is just 1.1 mi from the popular Berjaya Times Square, and just a 15-minute walk to the famed Masjid India. We have enjoyed our stay in Cosmo Hotel, very helping staff and clean environment. Flora by Crossroads Hotel is set in the Kuala Lumpur City-Center district in Kuala Lumpur, 0.7 mi from Petronas Twin Towers and Suria KLCC. It's an amazing place to stay! Mercu Summer Suites @ KLCC has air-conditioned rooms in Kuala Lumpur. A hot tub is available for guests. The hotel features an outdoor swimming pool, fitness center and a 24-hour front desk. Great location. Full kitchen and clothes washer included. Good security. Located in the Downtown Kuala Lumpur district of Kuala Lumpur, Soho Suites KLCC by Alucard is a 10-minute walk from Suria KLCC. The hotel attendant / manager was really friendly and helpful. Offering a year-round outdoor pool and sauna, Summer Suites Bernice is located in Kuala Lumpur in the Kuala Lumpur Federal Territory Region. Petronas Twin Towers is 2625 feet from the property. The staff was kind and showed great concern about our comfort. Enjoying direct access to Suria KLCC and Petronas Twin Towers, the luxurious Traders Hotel offers an indoor swimming pool and guests can enjoy meals from 2 in-house dining options. Great options for breakfast. Traders Lounge is value for money. Located in Kuala Lumpur, Nous Hotel KL provides air-conditioned rooms with free WiFi. The property is around a 15-minute walk from Kuala Lumpur Convention Center and 0.9 miles from Starhill Gallery. Sajol and his boss are awesome and very helpful! Location is perfect and rooms are nice! MOV Hotel Kuala Lumpur is located in Kuala Lumpur, a 13-minute walk from Kuala Lumpur Convention Center and 0.8 miles from Starhill Gallery. This 4-star hotel features free WiFi and a fitness center. Great location near Jalan Alore (night street market) and pubs/bars. Which neighborhood is the best one to stay at in Kuala Lumpur? 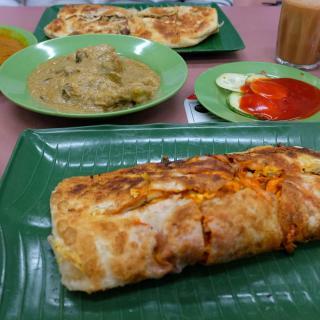 Bukit Bintang, Chow Kit, and Ampang are popular with other travelers visiting Kuala Lumpur. Which hotels in Kuala Lumpur have nice views? Alila Bangsar Kuala Lumpur, Mercu Summer Suites @ KLCC, and W Kuala Lumpur got great room view-related reviews from travelers in Kuala Lumpur. Which hotels in Kuala Lumpur are good for families? Many families visiting Kuala Lumpur loved staying at The RuMa Hotel and Residences, Grand Hyatt Kuala Lumpur, and Mandarin Oriental, Kuala Lumpur. What are the best hotels in Kuala Lumpur near Pavilion Kuala Lumpur? Some of the best hotels in Kuala Lumpur near Pavilion Kuala Lumpur include KLBackpacker.Com, Grand Hyatt Kuala Lumpur and Sunshine Bedz Kuala Lumpur. How much does it cost to stay in a hotel in Kuala Lumpur? On average, 3-star hotels in Kuala Lumpur cost $32 per night, and 4-star hotels in Kuala Lumpur are $63 per night. If you're looking for something really special, a 5-star hotel in Kuala Lumpur can be found for $121 per night, on average (based on Booking.com prices). How much is a hotel in Kuala Lumpur for tonight? 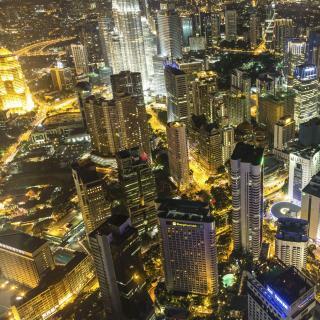 On average, it costs $39 per night to book a 3-star hotel in Kuala Lumpur for tonight. You'll pay around $58 if you choose to stay in a 4-star hotel tonight, while a 5-star hotel in Kuala Lumpur will cost around $112, on average (based on Booking.com prices). Which hotels are the best ones to stay at in Kuala Lumpur? Grand Hyatt Kuala Lumpur, Mandarin Oriental, Kuala Lumpur, and The Majestic Hotel Kuala Lumpur, Autograph Collection are some of the popular hotels in Kuala Lumpur. Which hotels in Kuala Lumpur are good for couples? These hotels in Kuala Lumpur are highly rated by couples: Mercu summer suites @ sunnystay, Mercu Summer Suites @ KLCC, and Tian Jing Hotel. How much is a hotel in Kuala Lumpur for this weekend? The average price per night for a 3-star hotel in Kuala Lumpur this weekend is $84 or, for a 4-star hotel, $123. Looking for something even fancier? 5-star hotels in Kuala Lumpur for this weekend cost around $204 per night, on average (based on Booking.com prices). Which hotels in Kuala Lumpur offer an especially good breakfast? For hotels in Kuala Lumpur that serve highly-rated breakfasts, try The RuMa Hotel and Residences, W Kuala Lumpur, and Alila Bangsar Kuala Lumpur. What are the best hotels in Kuala Lumpur near Kuala Lumpur International Airport? Travelers who stayed in Kuala Lumpur near Kuala Lumpur International Airport (KUL) have said good things about Plaza Premium Lounge (Wellness Spa-KLIA) – Private Suite, Sama Sama Express KLIA (Airside Transit Hotel), and Sama Sama Hotel KLIA. Climb to astonishing heights a midst the skyscrapers of Kuala Lumpur. Look up at the Petronas Towers and, if you’re feeling fit, participate in one of the foot races to the top of the Kuala Lumpur Tower. When you descend the mixture of cultures that make up this vibrant city will greet you. The capital of Malaysia offers a colorful array of cultures, cuisines and shopping opportunities. Kuala Lumpur’s diversity is on center stage in China town’s Petaling Street, the food stalls on Jalan Alor, the history of Merdeka Square and the temples and mosques scattered throughout the city. As the temperature soars in the year-round heat, find refuge in the manicured greenery of the Lake Gardens. Air-conditioning offers more comfort in the famous shopping malls including the Suria KLCC, where anyone can find the perfect gift or memento. If you’re travelling in South East Asia, there’s a good chance you’ll fly into Kuala Lumpur International Airport. Within 30 minutes you can be in the heart of a city which offers every type of accommodation from spas to budget rooms, 5-star hotels to dormitories. No matter what your budget, with 250+ hotels Booking.com has a place for you in KL. The hotel accommodations were awesome! The hotel accommodations were awesome! And the concierge and staff were extremely professional and friendly! The room was amazing!! We were within walking distance to the Petronas Towers, which were amazing. KL Itinerary- for self planning.! The v first day at KL Bird Park, half a day spent in , next to Menara KL (a must visit, will consume just half an hour of ur tym ) next to Batu caves. Wyl returning back musical fountain at Twin Towers arena then to a visit at Jalan Alor - (food street). Next day at leisure visited KL Twin Towers and then Malaysian Kings Old palace, then headed to little India for lunch , next to Petaling street - Flea Market - Chine town. Shopping and then dinner and boarded train to Arau - KualaPerlis - boarded Ferry to Langkawi Islands , rented a car, headed str8 to Para Sailing spot and then to underworld Aquarium and again shopping at Duty Free shop. Next day to Sky Bridge and 3 D arts museum and then back to ferry and train to KL. Had a good nights sleep and 5th day packed up d luggage and , left d hotel to Petrozains, then shopping at Suriya KLCC and finally to KLIA A 5 day well planned visit just under Rs.1 lakh to KL- a happy and muscular needed get away. Clean city. No traffic jams like Jakarta. Cheap food and public transport. Better than Singapore as holiday destination as it has all the advantages of Singapore but not the disadvantage of Singapore which is high accommodation costs. I paid one third of the price of the hotel I paid in Singapore in KL and the KL hotel was much better! Its a good trip but not one of the best, its our 2nd time to be here and just had a thought of exploring some other place we wasn't able to visit on our first trip. It’s very clean, and has with a pantry. The bed is at the loft so the place feels big. The view is great. Very satisfied with what I get in the price. It also has a bridge connection to the train station and not far from Bangsar Village are where you can find nice hang out places and food. Few minutes away from KL Sentral, so easy access to the airport. Perfect for groups or family. But yes it is not a hotel, it’s an apartment so there’s no 24 hours room service etc. All in all I def will stay there again when visiting KL. Wi-Fi and A.C. good. Comfy bed. Staff are friendly. Clean. Few minute walk to the night food market, super convenient. On the other side is the large Plaza. Imbi monorail is only a few minute walk to the hotel. Easy to take the bus from the airport (12myr) to KL Sentral then monorail(3.10myr) Museums, Petronas Towers, KL Tower, Eco park all within 30 minute walk. There is a lot to see along the way to these sites. 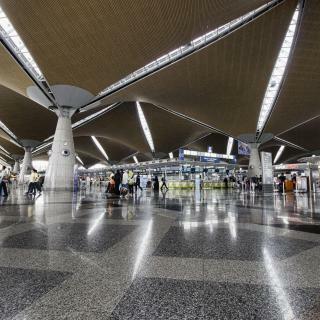 3 min walking to the airport buses at KL sentral station (12 MYR per pers one way). 2 mins away to Nu Sentral mall, attached to KL sentral. 1 min away from the MRT to Bukit Bintang. And of course right next to KL. The hotel is old but clean. They can give extra blankets and towels. Laundromat right next door. All in all very convenient. It is centrally located. 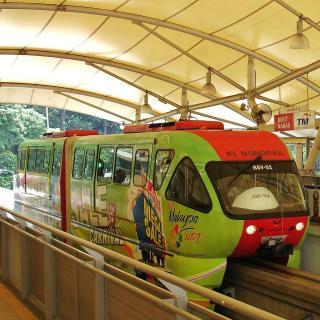 Getting to the hotel from the airport was quite easy with KLIA express and switch to the mono rail alighting at Bukit Nanas monorail which is a stones throw away front the hotel. KLCC , Bukit Bintang and Menara are all quite close by. The breakfast spread was nice and hassle free checkin and checkout. Lovely hotel, great view from the pool of the Petronas Towers, on site cafe, restaurant and bar with a happy hour. Approximately 10 minute walk to the Petronas Towers and shopping centre, and 10 minute taxi ride away from Jalan Alor and Bukit Bintang. Taxis are very cheap. Download Grab taxi app to get around the city. Location is perfect. Near bus station is Concorde hotel which is 1 minute walk. Near monorail station is Bintu Nanas which is 1 minute walk. Walking distance to petronas towers. From airport get the bus to KL sentral and from there get monorail or if you have more luggage you can get taxi from KL Sentral. Our stay was amazing. Having access to the club lounge was so easy. The food at the lounge is 5 star. The pool area is beautiful and family friendly. 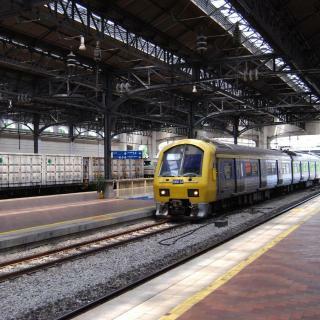 A must stay when visiting KL as it is so easy to get to due to the hotels location which adjoins the KL Sentral station. For the price you pay, honestly the only thing it has going for it is the direct access to Pavilion. And perhaps the view depending on where your room is facing. Room furnishing and amenities were all right, but no better than most of the newer 5 star hotels in KL. Checking in is fuss free. Staffs are friendly and courteous. Location of hotel is great. Right beside Avenue K. Walking distance to various shopping centres e.g. KLCC, Fahrenheit, Pavillion, Sungei Wang, Bukit Bintang. Stuff was really friendly and the rooms as expected for a 5 star hotel. They have a really nice outdoor pool. Hotel is close to shopping malls and public transportation. Easy to get 5 minute walk to monoriel,closed to bukit bintang & the staff at receptionist are too humble,good & excellent feel like 5 star hotel stay. Good location, near by to the twin tower (5 min walking distance) and 10 min from Bukit Bintang / Pavilion. Variety of restaurants closed to the hotel. It is the greatest deal we have found in KL. The place is extremely astonishing and definitely worth the money spent! Great value, kind stuff and outstanding service. The staff was genuinely amazing and extremely helpful. Always had smiles on their faces. The security was good too.